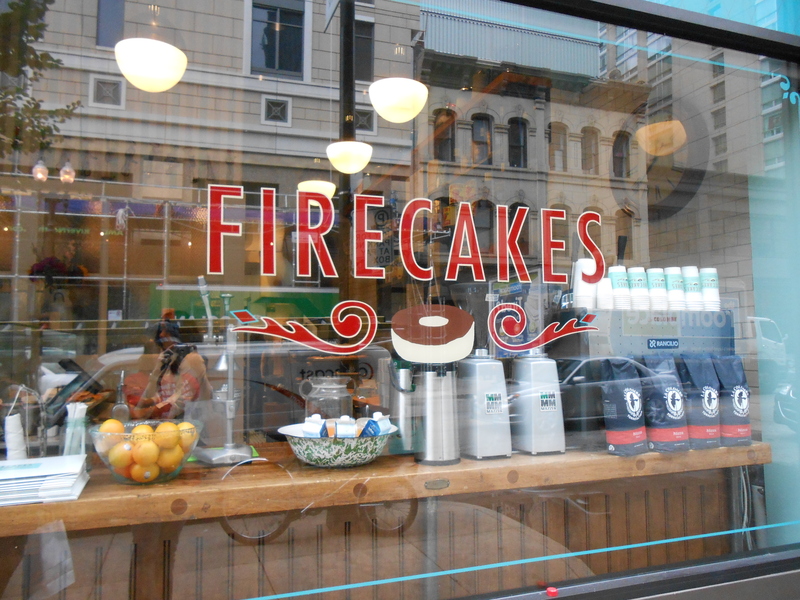 Firecakes is a small donut shop located at 68 W Hubbard St. 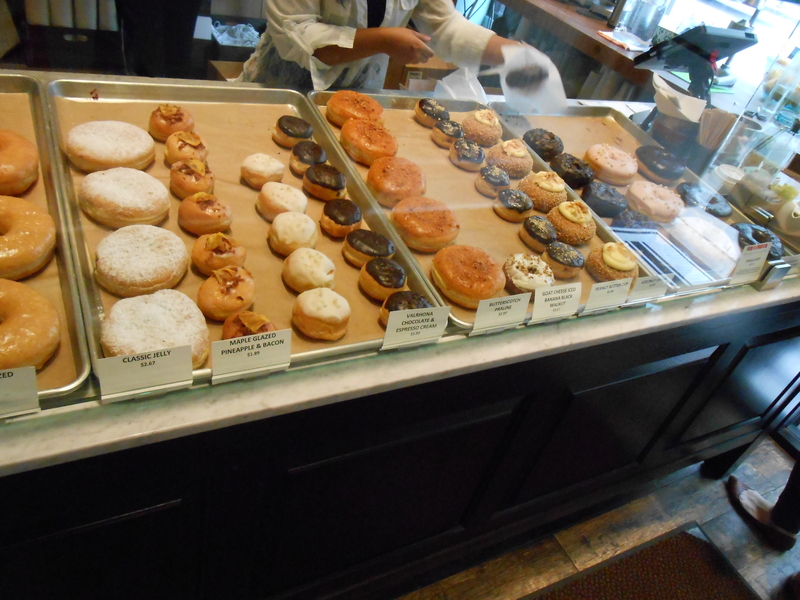 They offer at least 14 different flavors and kinds of donuts. The shop is not a place to sit and have donuts. There is no place for sitting and not really enough space for a long line. It is more of a place to grab donuts and go. When I went with a friend we were planning to sit and eat so instead we grabbed our donuts and since it was a nice day out went to sit outside the Starbucks on the next block. Firecakes offers coffee that has a nice smooth flavor to it. 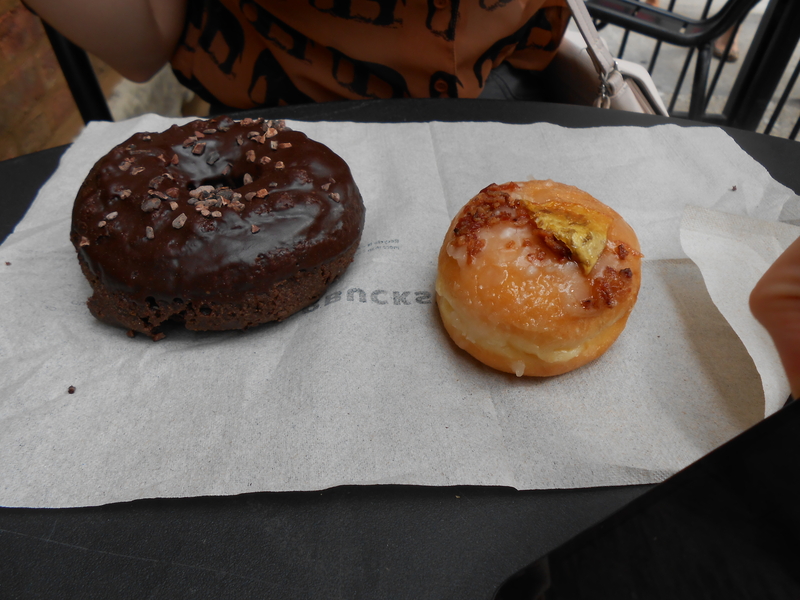 My friend got their pineapple and bacon donut and one of their chocolate donuts. 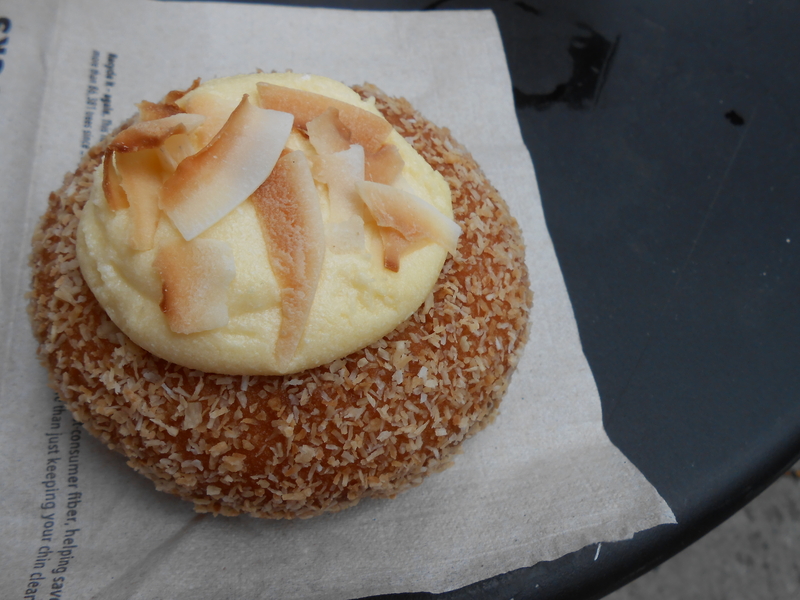 I got a coconut cream donut that was very messy, it was covered with coconut shavings that stuck to my hand and fell off with every bite. It had a whipped light cream on top that fell off when I held the donut at an angle. 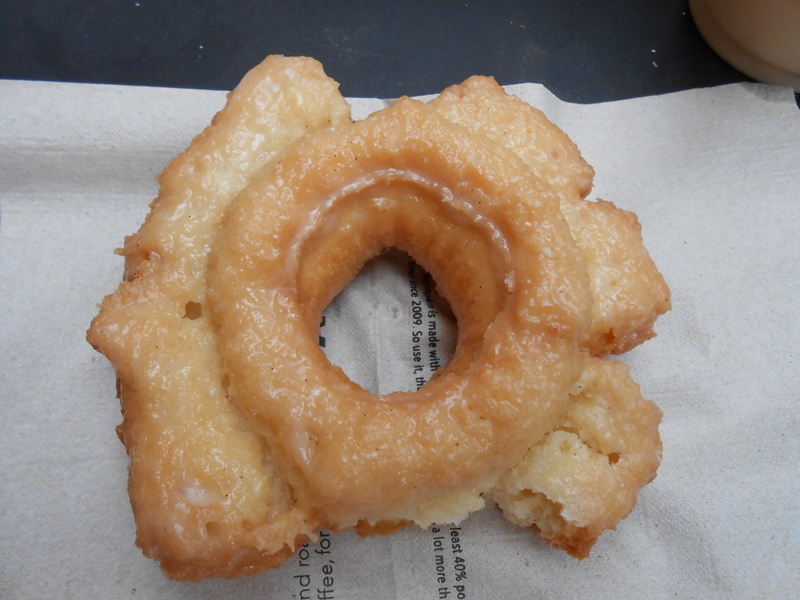 I also got an old fashioned donut that was pretty good.